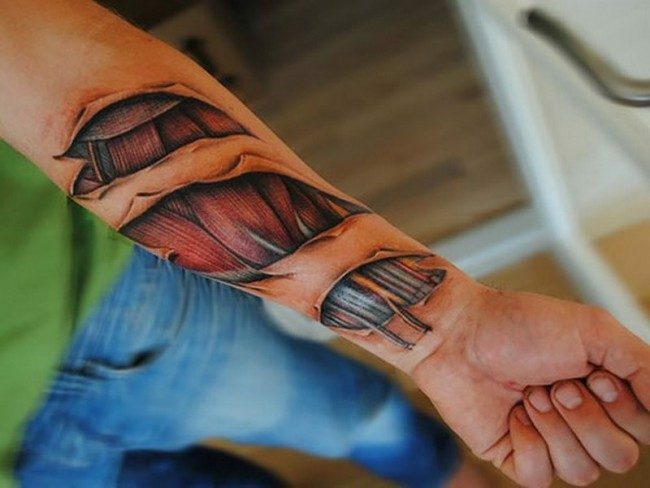 For sure, you have already heard about the 3D tattoos. 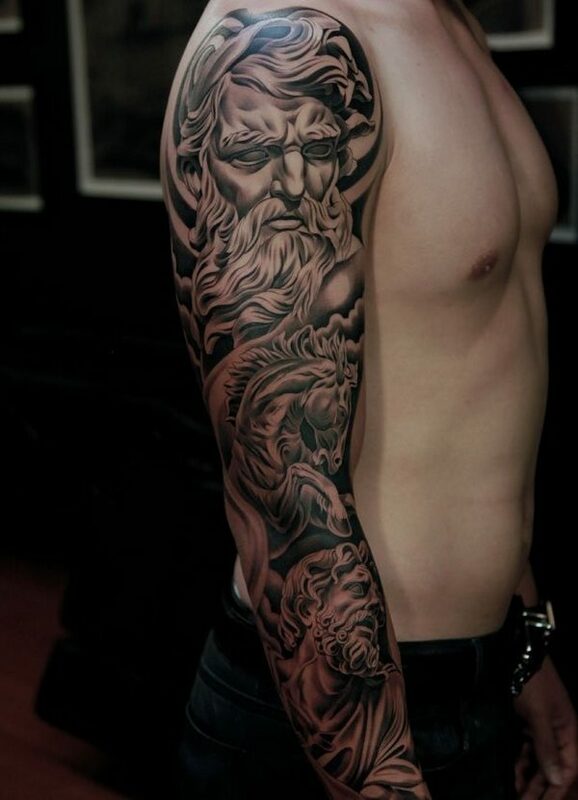 These tattoos are known to be the modern day tattoos, since they are being invented by a group of professional tattoo artists in the world in this modern era. 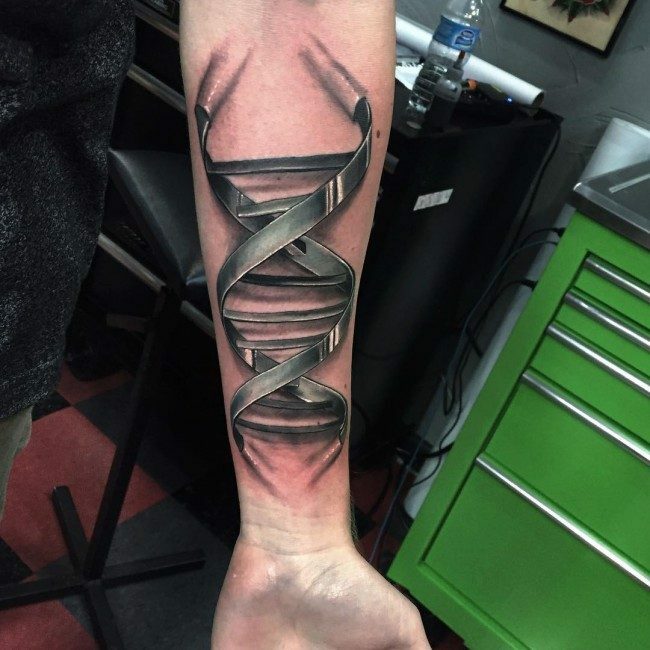 Without the considerable amount of efforts exerted by these tattoo artists in continually doing some innovations in the tattooing world, these tattoos would have never come out and introduced to the men and women tattoo lovers in the entire world. 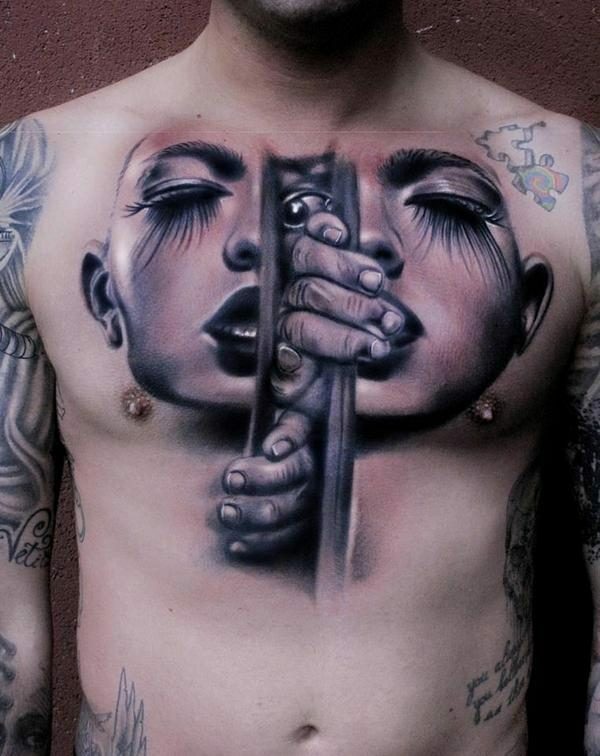 Just in case you do not know, these tattoos actually have something to do with optical illusions. 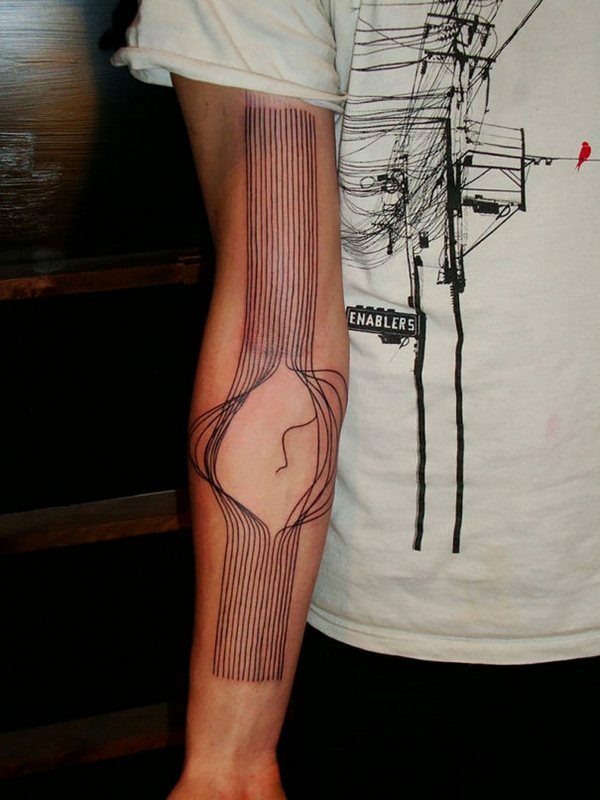 Yes, these tattoos might deceive your own eyes the moment you stare at them. They will look like they are moving and real. Don’t you find it very interesting? 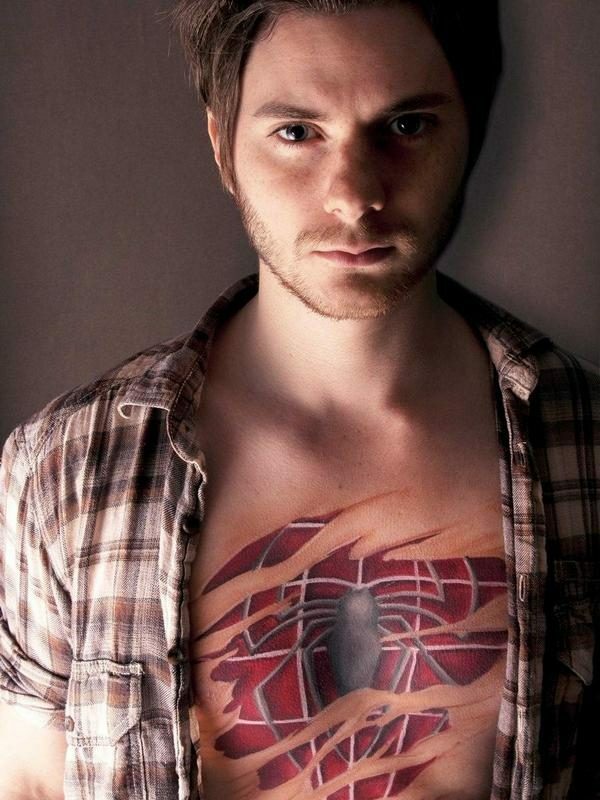 Are you now very curious about a 3D style tattoo? 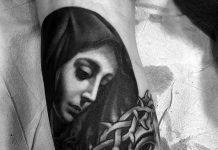 Tattoo art has been used since a long time as a popular form of body adornment, but like all other art forms, this one too has undergone phenomenal changes as it has been touched by progress in technology. 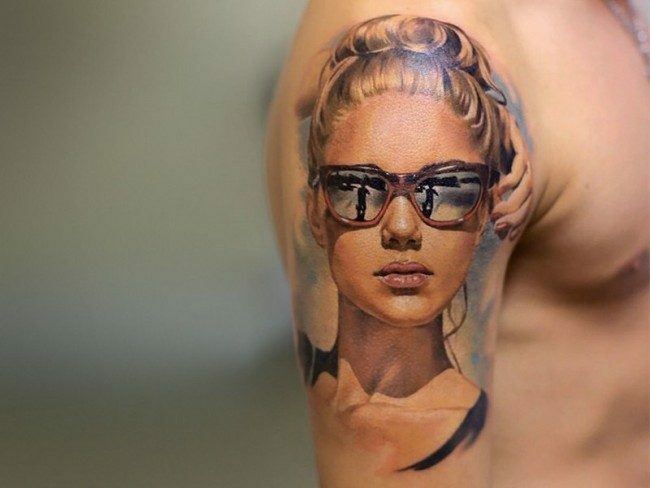 3D or three dimensional is the new in thing in tattoos, as it gives an amazing visual appeal to them and adds a realistic touch. 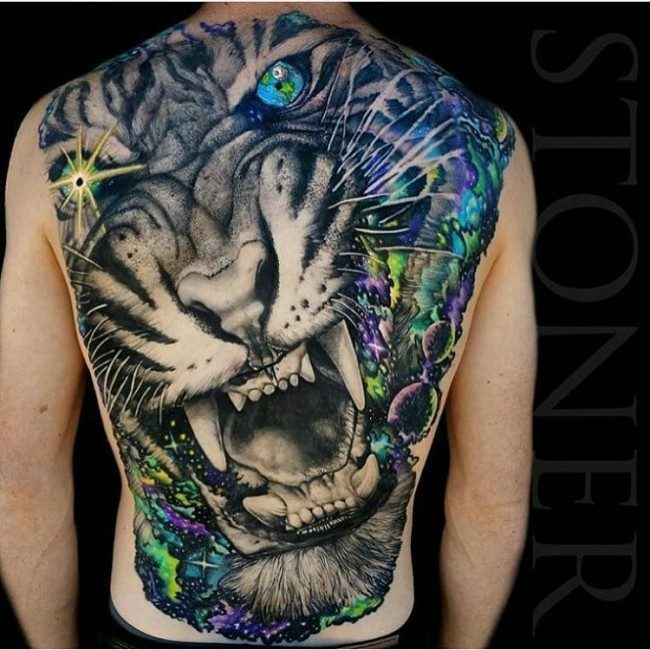 There is a huge difference between 3D tattoos and other tattoos, and the 3D effect can give a whole new look to the tattoo design. 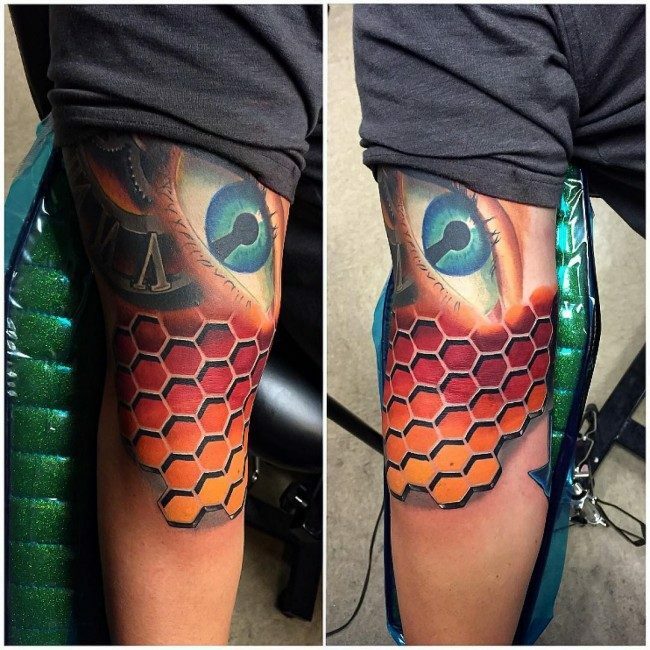 However the end result of a 3-dimensional tattoo greatly depends on the expertise of the tattoo artist as it requires a great degree of skill and a lot of practice on the behalf of the artist, to do full justice to 3D art. 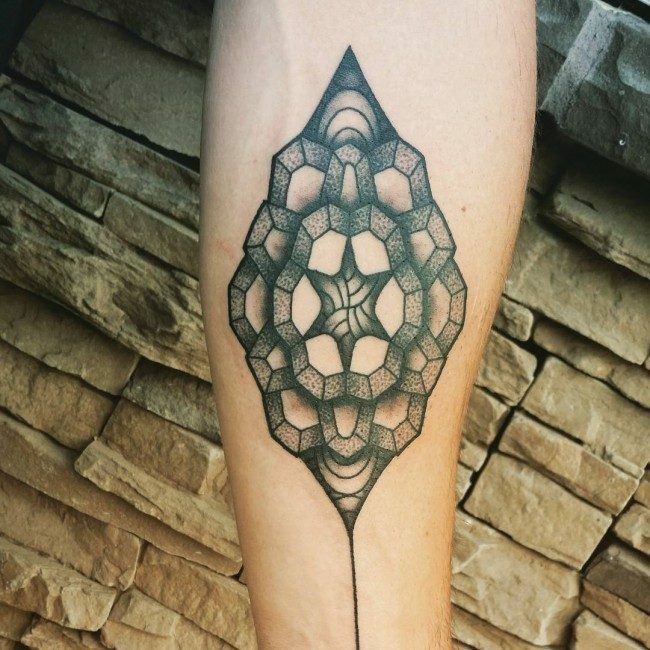 What’s so special about 3-Dimensional Tattoos? 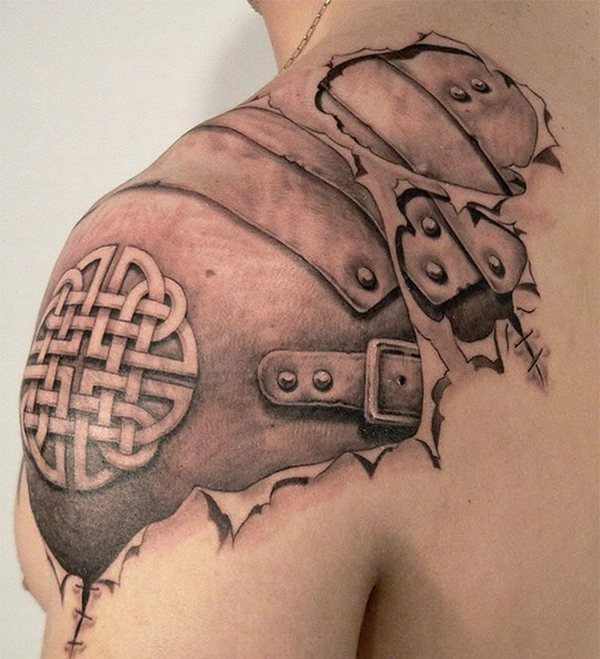 The Expertise of the Tattoo Artist – Always put it in your own mind that a 3D design is a difficult subject when it comes to tattooing. Yes, you read it right. 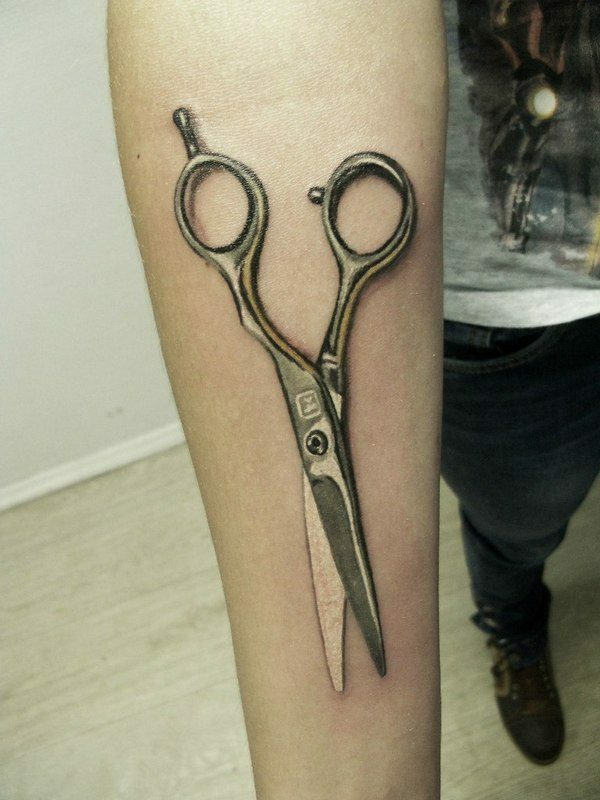 As a matter of fact, it takes a long time for the professional tattoo artists out there to master this modern day tattoo. This is the main reason why you need to take into account the level of expertise of the tattoo artist that you will hire. Do not be deceived by those tattoo artists who are just claiming that they can do a 3D design perfectly, only to find out that they cannot. 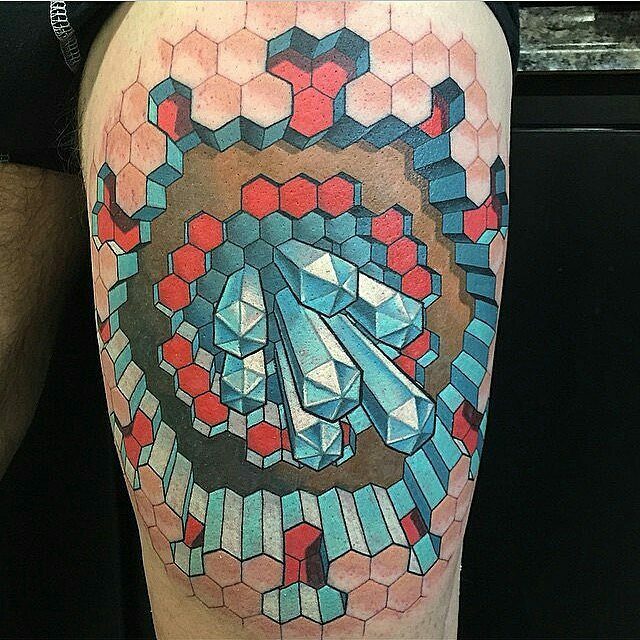 This goes to show that you have to be very careful in choosing a tattoo artist who will help you in engraving the gorgeous 3D style tattoo design that you have selected. Remember that a single mistake can already ruin the entire design of your tattoo. 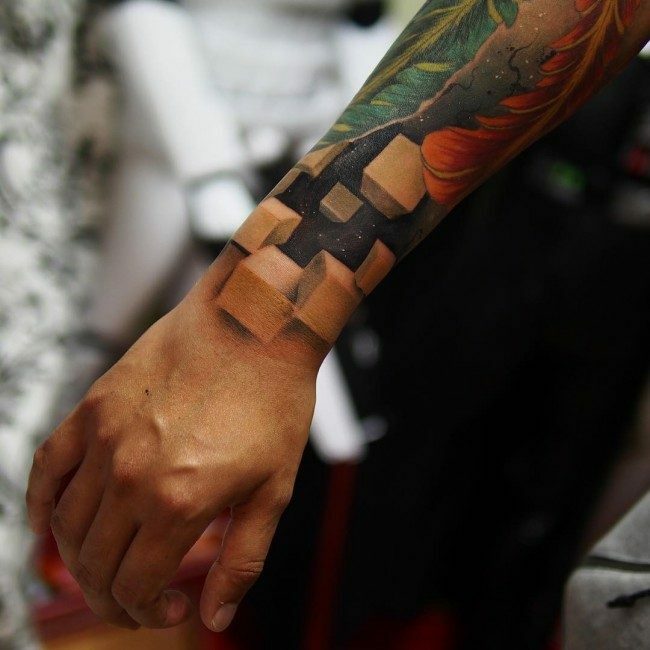 The Shading – For you to know, 3-dimensional tattoos will involve a lot of shadings. This is the main reason why a single mistake in the shading may hinder you from having the gorgeous design that you always wanted. 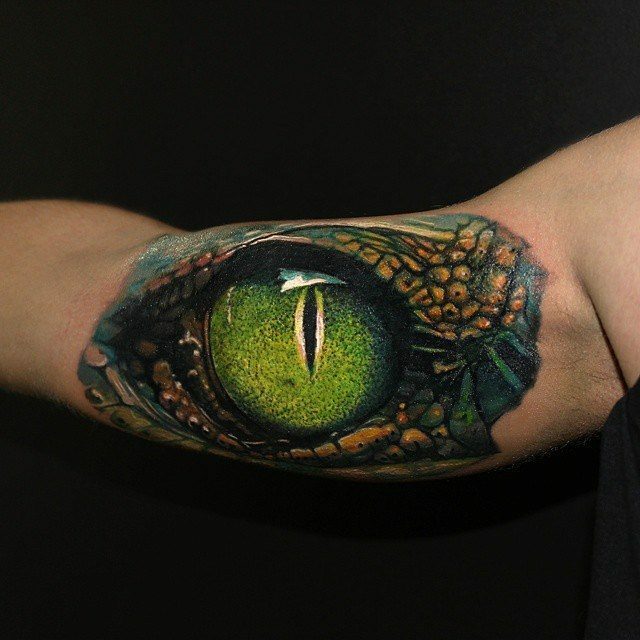 Because of this, make sure that your tattoo artist has enough experience in doing the shading tasks of a tattoo. 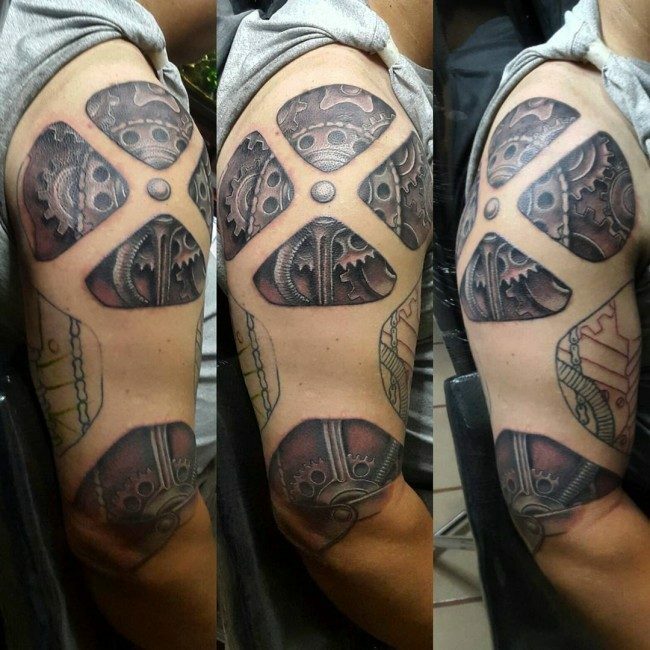 In this way, you can be sure that there is no need for you to worry since you know that your tattoo artist is well acquainted and well experienced when it comes to shading in a 3D design. The Body Placement – Another very important factor that you should take into account when thinking of having a 3-dimensional style tattoo is the body placement. Yes, you should think about the body placement well. It is simply because it has a very important role in achieving the greatness. If you are worried enough about the placement, you can actually ask the opinion of your hired professional tattoo artist. 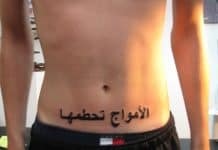 For sure, he or she completely knows the best placement for your tattoo, depending on the design that you have chosen. 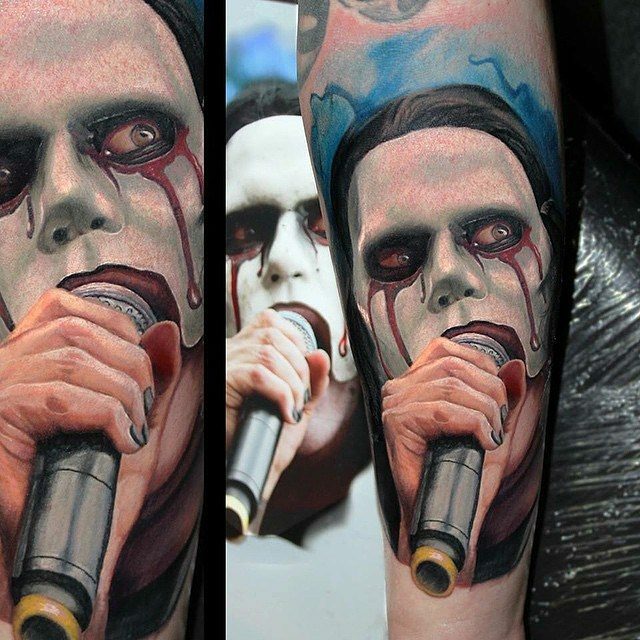 They are very different from the rest of the tattoos as they have the realistic look which other tattoos lack. 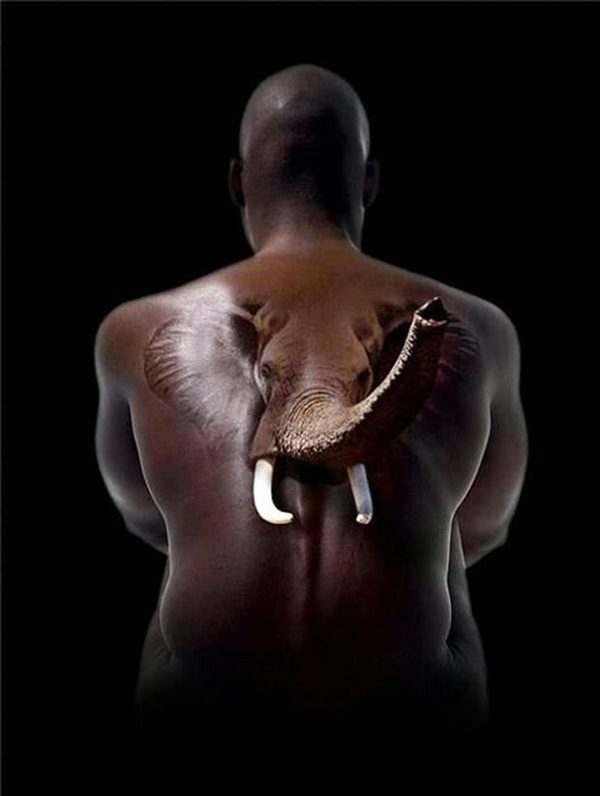 This is the reason why men and women of all ages and from all walks of life love to have such tattoos inked. These tattoos have great attraction value as they are eye catching and are bound to attract the attention of anyone who has a look. They look great on whichever part of the body they are featured, whether it is the back, chest, shoulder, legs, arm, wrist, legs or back of the ear. 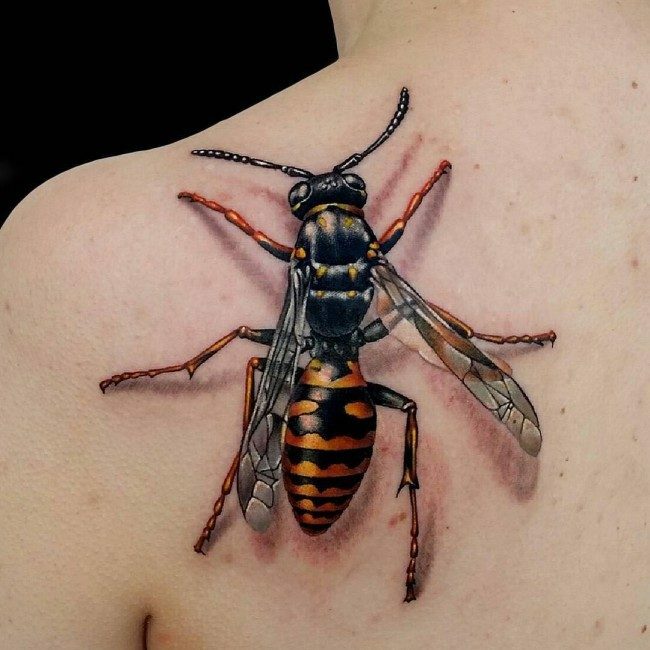 Some of these tattoos may be really appealing, while others have the quality to scare such as those featuring creepy crawly insects or skull designs. The most important thing about them is their realistic appeal, which greatly depends upon the expertise of the designer who creates them. 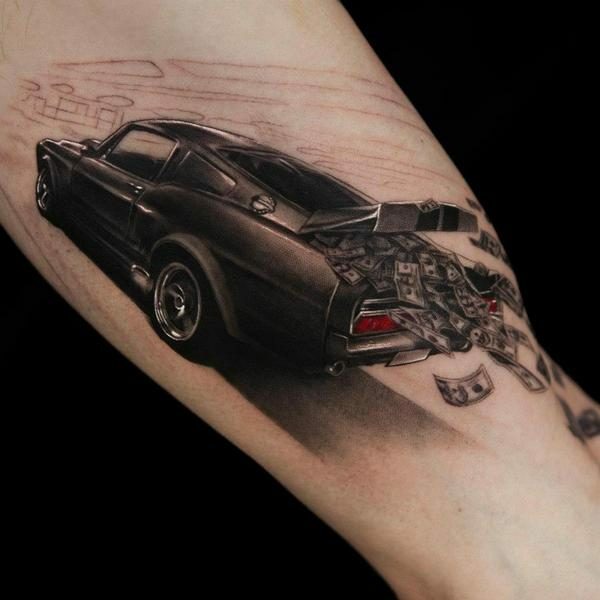 Making such tattoos requires a great attention to detail, with every minute point being given great importance, as these tattoos really stand out and the smallest mistake would be highlighted to a great extent. 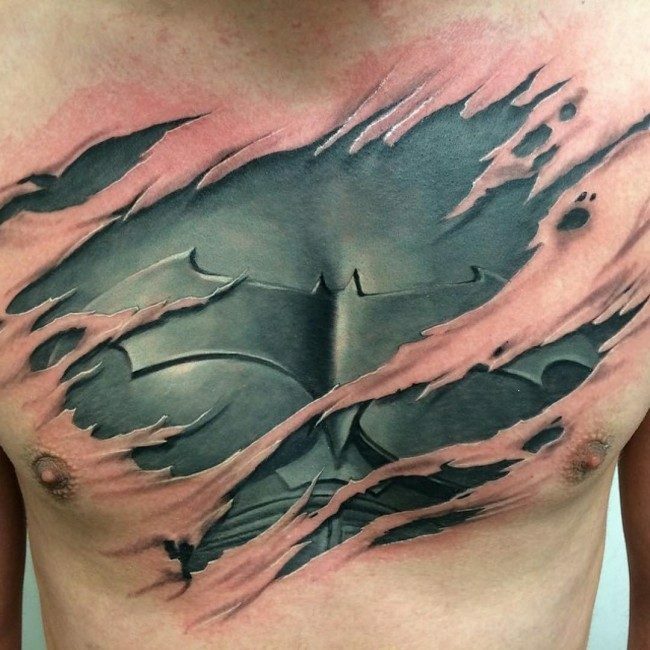 Also, what really matters is the right kind of shading and the correct placement as both these factors have a great influence on the final look of a 3D style tattoo. The designs need to be done with great care as they can make or mar the beauty of your skin, if placed at the right position and done in the right manner. 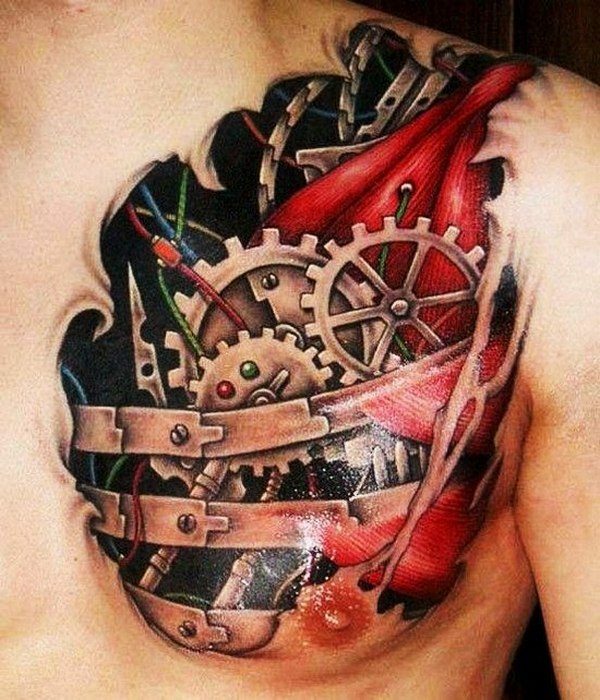 The most important aspect of 3-dimensional tattoo art, in addition to choosing the right design, is its right placement. 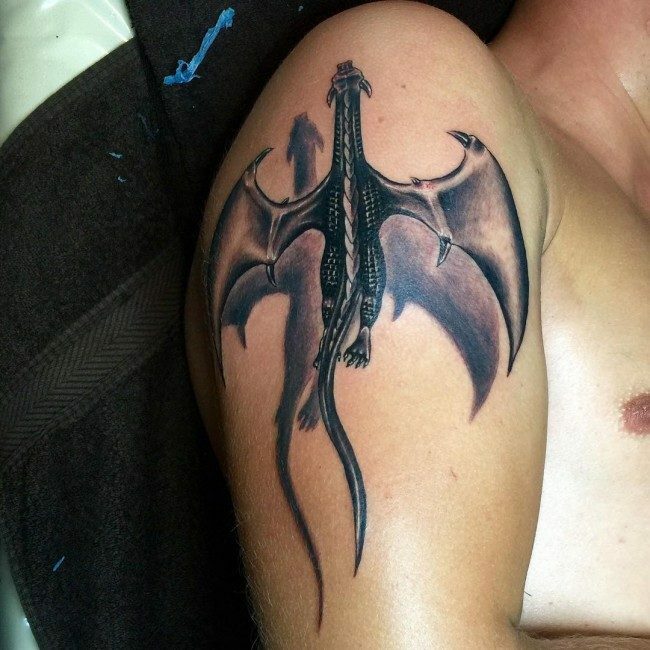 Basically, the place for having a tattoo inked is determines by the size of the tattoo. A larger tattoo looks good at large surface areas such as back, stomach, sleeve, rib, chest, thighs, legs and shoulder, while smaller and more delicate designs are featured on small areas such as ankles, legs, wrists, neck, spine, back of the ear and even on fingers. 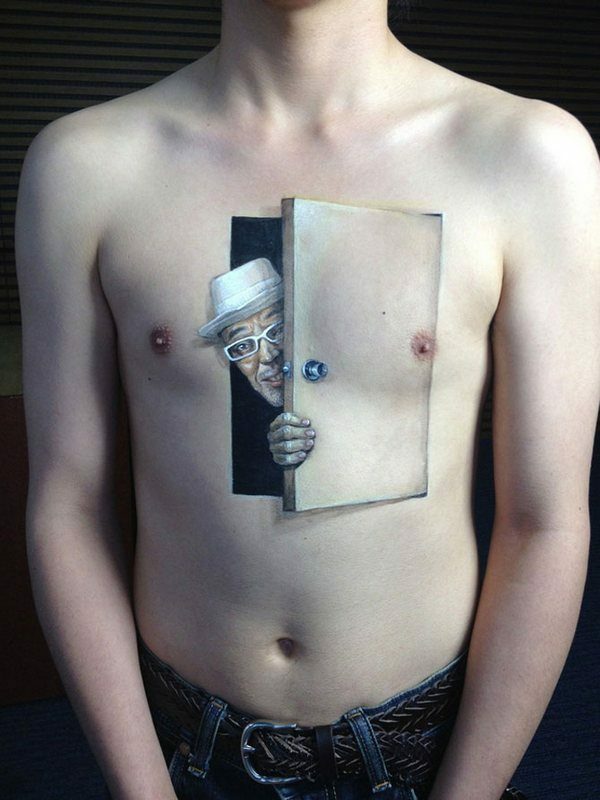 The idea is to grab attention, whether the size of the tattoo is big or small. It should just be eye catching enough to convey the true attitude and feelings of the bearer. 3D Butterfly Tattoo Design – Well, the butterfly design is actually very common, and there is no need for more explanations about it, right? 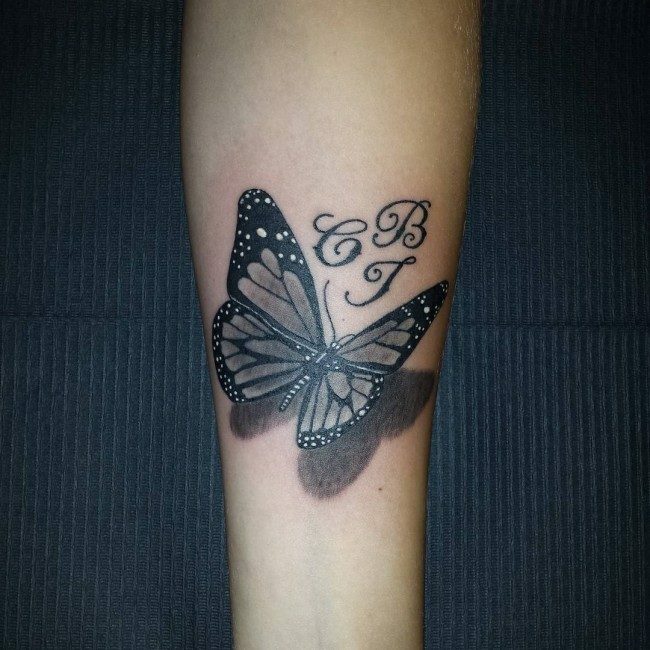 However, if it is a 3D butterfly tattoo design, it is another side of the story for sure. 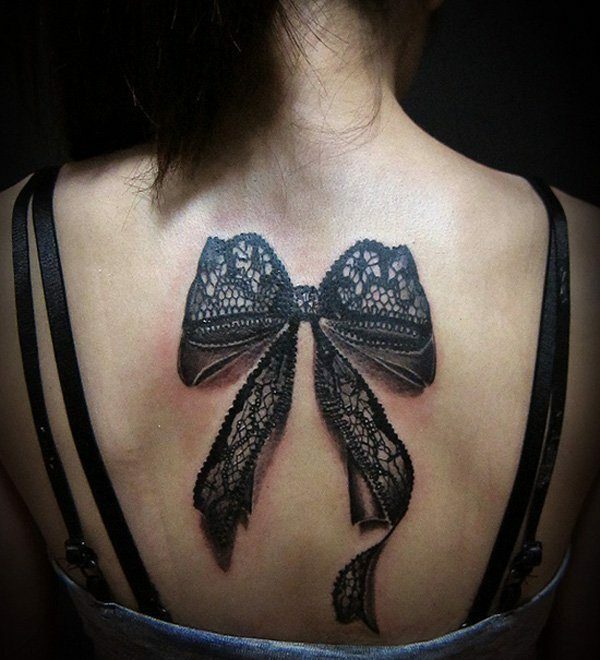 This particular design will be exuding a great sense of femininity, which is why it is extremely popular to a number of women tattoo lovers in the world. This design can be perfectly placed at the back portion of your body. Having such 3D design will make you look as if you have wings of a butterfly. Isn’t that very exciting? 3D Camera Tattoo Design – It will also be great if you will choose the 3D camera tattoo design. As its name suggests, this design will involve an image of a camera. It is best to place this tattoo on your hands, especially near the wrist area. When the tattoo is done, you can simply place it right there in front of your eyes, making you appear like you are taking some picture with the use of your 3D camera tattoo. 3D Cross Tattoo Design – The 3D cross tattoo design is also something that is worth considering. 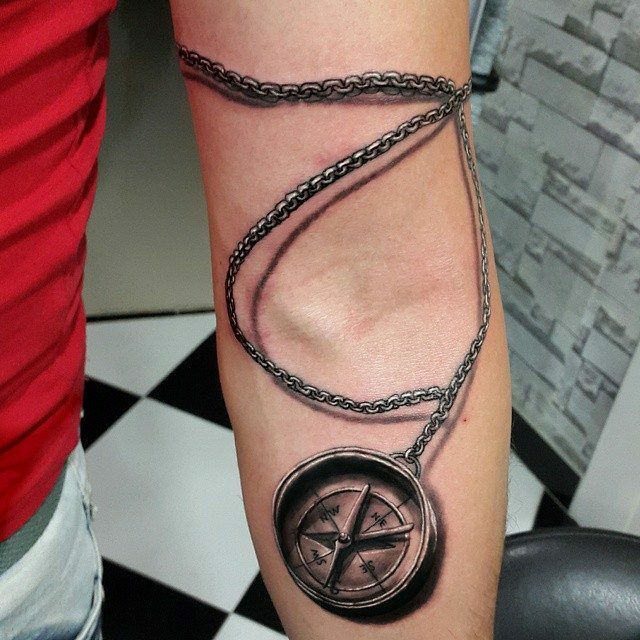 A cross tattoo is definitely a very famous design, but when it comes to 3D cross tattoo, it is definitely a mind boggling one. There is no way you won’t love this 3D design of yours. This design is greatly being associated to Christian-ism since a cross is a very important religious symbol for Christians. It would be great if you will place it on your back, and it will look even better when it is engraved on your body with bigger size. 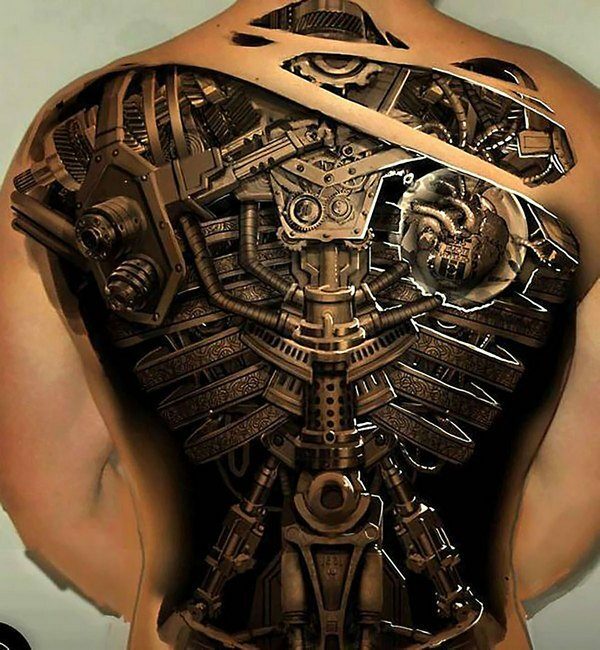 3D Cyborg Tattoo Design – Another very common yet very gorgeous 3D design that you can take into account is the 3D cyborg tattoo design. 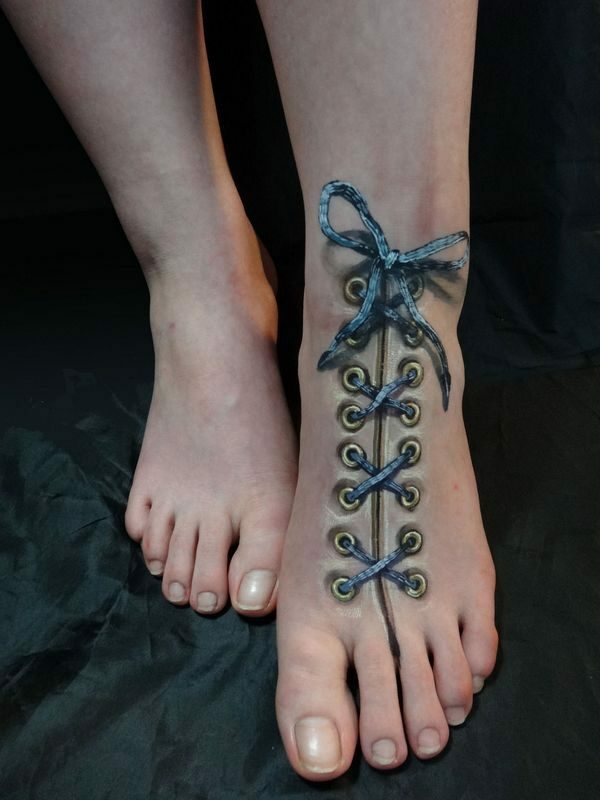 This is actually one of the most preferred designs a 3-dimensional tattoo can offer. 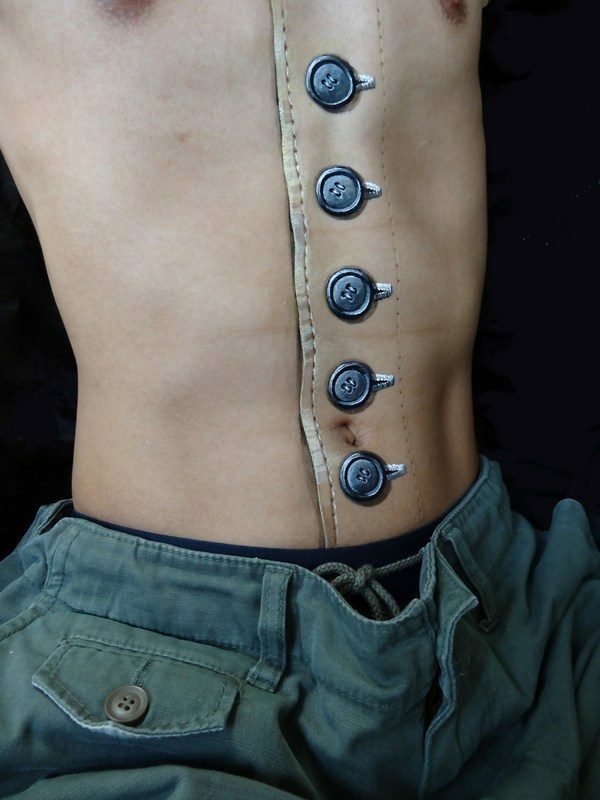 What is very interesting about this design is that you will appear like you have robotic body organs. It can be placed everywhere, for as long as some of your body organs that can be made as robotic parts are nearly located. Good examples are on your back and your feet. 3D Flower Tattoo Design – It is very common these days to see people who have beautiful flower tattoos on their body. Most of these people are girls since flowers are great symbols of femininity. But when talking about 3D flower tattoo design, it can be perfect for men and women tattoo lovers out there. There is no way it will not look gorgeous since flowers are one of those extremely beautiful subjects for tattooing. 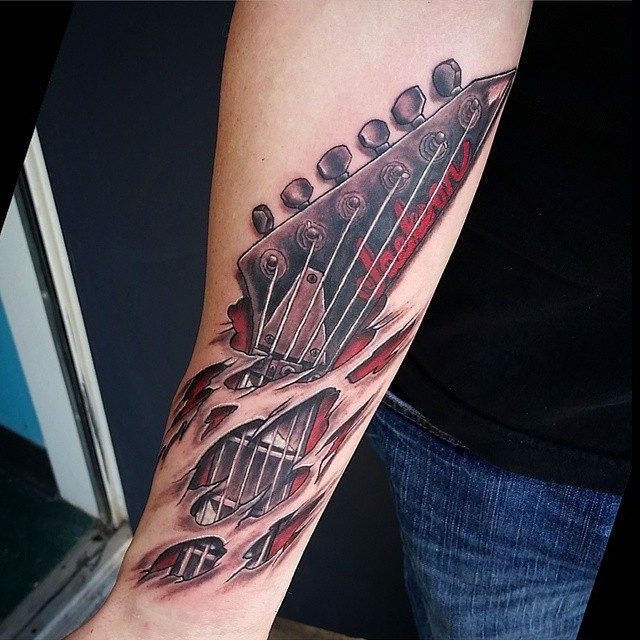 3D Musical Tattoo Design – Another very beautiful design is the 3D musical tattoo design. It would be perfect for those people who want to show their love for music. A guitar can be the best subject for this design. You can also go for musical notes that are accompanied with beautiful red rose flowers. If you are in love with tattoo art but want something which goes beyond the ordinary, then 3D design tattoos are the best option for you. But the expense, time and pain involved in having such tattoos done, make it essential to choose the right design and an expert to get it done on your body. Such tattoos are all about visual appeal rather than symbolic meaning, making them a cool choice among youngsters.